If I had become aware of Jamie Saft’s work earlier in his career, maybe I wouldn’t be so surprised every time he shows up on a new release that sounds completely different from what I’ve heard before. 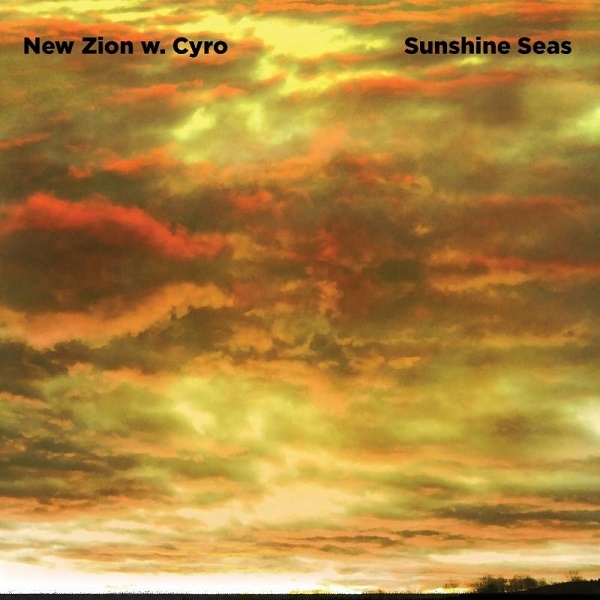 New Zion is a project he’s been involved with for several years, though Sunshine Seas is my first encounter with it. At its core, New Zion is a trio of Saft with drummer Craig Santiago and a bassist (originally Larry Grenadier, now Brad Jones); they have worked with other musicians to fill out the sound, in this case Brazilian percussionist Cyro Baptista. And if you’re expecting some kind of piano trio jazz, you’re going to have your expectations dashed. The “Zion” in the name is a reference to reggae-inflected dub editing, and Sunshine Seas presents nine tracks of latin jazz intersected with (some might say infected with) dub effects. Rhythmically, many of the pieces are based on a reggae bounce, but there are hints of other styles as well, none of them presented in pure traditional form, which is as it should be for original music like this. The title “Samba Jahmekya” sums up the attitude. Saft plays piano more than any other instrument, though there’s good organ work, electric piano, acoustic guitar, and various synthesizers here and there. Baptista is an integral part of this music. He’s worked with a wide range of other artists in addition to having a number of releases under his own name on the Tzadik label. In keeping with the dub theme, most of the tracks feature drop-outs for modulated echoes, but the effect isn’t overused. Listeners averse to the style will want to look elsewhere for their jazz keyboard fix, but barring that kind of allergic reaction, Sunshine Seas is a nice diversion, a mellow groove for a summer day (or another time of year when you wish it was summer).